Over the last few days, Peter and I explored Zion National Park, Bryce National Park, and The Grand Canyon. We highly recommend all of these destinations for their breathtaking views and hiking adventures. However, if you do decide to visit these national parks, make sure to book your camping site several months in advance to get the best spots. They are fully booked at least a month out in the summer. 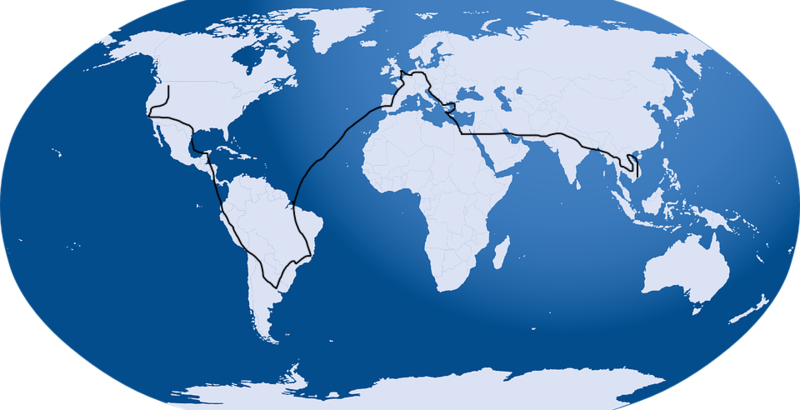 Below I will cover each destination, what makes them worth visiting, and what to do while you’re there. Before we left for our world tour, people asked me several times what I was most looking forward to. My answer always included Zion National Park. I visited this park once in high school and was taken aback by the other-worldly red jagged mountains. If you can handle 90+ temps in the summer, I highly recommend visiting Zion for the stunning, and unforgettable landscapes. Visiting Zion is convenient, as tourists park at the Visitor Center and then take a free bus to all the major hiking spots in the park. After all the negative press for Yellowstone and Glacier this year, I really appreciated the way Zion dealt with the mass of tourists. By requiring them to take the park’s buses, Zion was able to front load everyone with lessons about respecting the wildlife and nature. As a teacher, I know the importance of setting expectations ahead of time; and let’s be honest, tourists are a lot like children who need things spelled out. It would be great if Glacier and/or Yellowstone would start a bus line and employ these tactics. 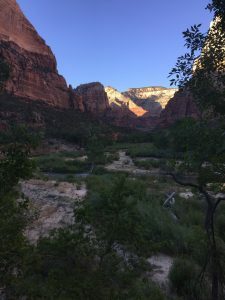 Although we didn’t spend a ton of time in Zion (about two days) I do have some advice for what to check out and ignore when you visit. First off, if you have a car, I highly recommend you drive the Mount Carmel highway. The road includes a 1.1 mile long tunnel! Gorgeous landscape surround the entire drive making it hard to focus on the road. Don’t worry though, pullouts cover the road allowing you to stop and capture the experience. Since I’ve been having problems with the knee I had surgery on last October (it’s swelling again) we weren’t able to do Angel’s Landing. The narrow trail with steep drop-offs has led to 6 deaths since 2004. However, my parents completed the hike in their 50’s or early 60’s and they highly recommend it. The bus tour guide said the trail acquired the name because it’s so high Angel’s could literally land on it. Instead, Peter and I hiked the Emerald Pools trail the first day. We both agreed that we’d skip this hike in the future. It wasn’t terrible, it just wasn’t as stunning as other options. The second day we hiked the Narrows. In pictures, the Narrows always looked like a really narrow canyon, but in reality it was pretty wide for the first two to three miles. I also expected it to only have water to walk through in sections, but the entire thing is a river walk. The challenge of constantly crossing to either side of the river in ankle to waist high water made for an exciting and memorable hike. Wear shorts and shoes you don’t mind getting soaked and make sure to put anything you don’t want to get wet in a Ziplock or dry bag. The park ranger said the water gets up to your neck at points if you go the full 8 miles in! There are campsites at the other end for those who want an epic hike. Be sure to check with the visitor center before going though because the Narrows are prone to flash floods. The final comment I’ll make about Zion is that it is crawling with people. If you want secluded hikes, this is not the place for you. We hiked up the Narrows for two hours, accompanied by at least 40 other people at any given time. If you go in with this expectation though, it’s a great experience. Finally, there are no showers in the campsites so be prepared to get and stay dirty! 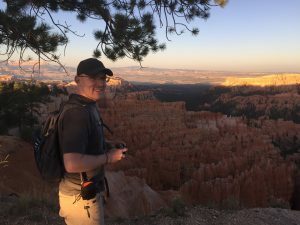 Bryce Canyon was a place I tacked onto our trip itinerary somewhat spontaneously after seeing some cool pictures online. I am so glad I stumbled upon this gem! Bryce Canyon was possibly my favorite of the three national parks. I only wish we had put aside more time for this stunning park. The iron in the rocks was such a bright red, it seemed unnatural. The canyon has these stalagmite-style rocks jetting out of the floor deep below. We didn’t have enough time because we arrived at sunset, but you can take trails down into these pillars to explore them from different angles. The one positive of coming so late though was that we didn’t have to pay the $30 entrance fee! Peter and I will definitely be revisiting this park again. There are campsites there as well, so I would recommend spending a night there. 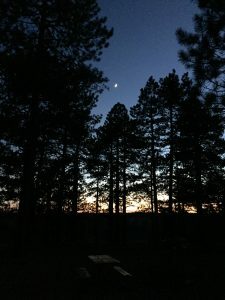 Peter and I stayed at the North Rim Campground at The Grand Canyon. 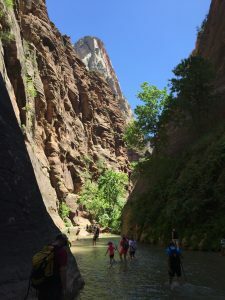 I was expecting the Grand Canyon to be hot and a lot more touristy and crowded than Zion, but I was pleasantly surprised at the cool temperatures and laid back atmosphere. The campground immediately reminded us of our old high school camp at Flathead Lake (where we first met!). It had several old log cabins scattered around and didn’t seem overly crowded. Even better, the bubbly park ranger who checked us in upgraded us to a tent site literally 30 yards from the rim of the Grand Canyon! We could see it from our tent window! There was nothing quite like drinking my morning coffee while looking out at that view. We asked the same park ranger where to hike and she recommended the Uncle Jim trail for one of the higher elevated viewpoints. It turns out Peter and I aren’t the best with reading maps though, and we ended up taking a wrong turn. After about 20 minutes of hiking, we found ourselves in a crowded parking lot. After taking a few minutes to confusedly review the map and figure out where we were, we realized we had made it to the North Rim visitor center. We were about to turn back, when we decided we had gotten so close, we might as well check out what all the fuss was about. We walked out to Bright Angel Point and what a lucky mistake! 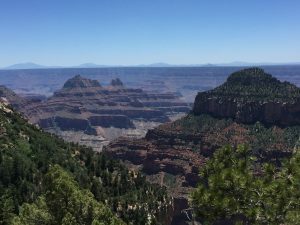 We stepped out on one of the many observation points to have a better view of the canyon surrounding us and were taken aback. As someone who’s afraid of heights, I had to catch my breath a few times to overcome the huge drop offs though. If we could do it all over, Peter and I would have spent 2-3 full days in Zion, 1-2 days in Bryce Canyon, and 2-3 days at The Grand Canyon. If camping and being outdoors is your thing, make the trip to Utah and Arizona for these national parks. 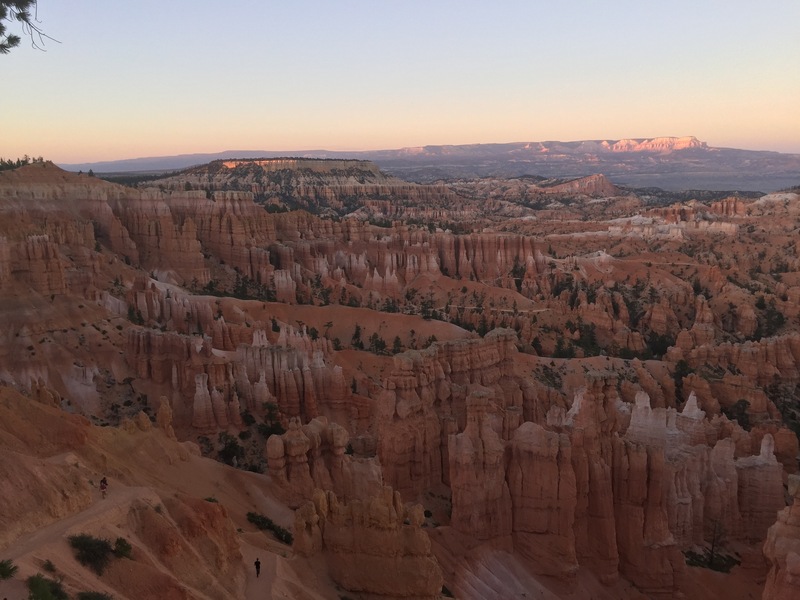 The southwest is a stunningly beautiful part of the country and it’s well worth the trip!